The Lehigh Valley Kayak & Canoe Club is one of the largest and most active paddling clubs in the United States. We offer training, trips, socials and opportunities to improve and enhance our local rivers. The LVKCC holds regular monthly programs to teach, entertain and act on club business. Meetings are usually at 7 p.m. on the evening of the first Thursday of each month and are currently held at the Wildlands Conservancy 3701 Orchid Pl, Emmaus, PA 18049. Regular monthly meetings are held September through November and February through June. In December, we have our holiday party and in January the Executive Committee meets. 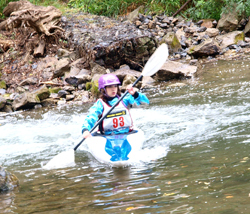 The LVKCC is first and foremost about paddling. Beginners are encouraged to take our winter pool classes or sign up for a weekend paddling intensive course through the Northeast PA Paddling School. Once you have learned the basics, we gear up to continue your training on the water with a series of increasingly challenging trips. And when you’ve gained experience, you’ll be able to pick from the dozens of scheduled and pick-up trips that the LVKCC coordinates each year. Soon, you will be leading trips yourself. Click here to contact us. We’ll be happy to answer any questions.